Does installation play a role to safety? The way garage doors and their components are installed is extremely vital to their performance, stability of the whole system, safety of loved ones, and remaining long-lasting. Improper garage door installation could compromise your safety. If the tracks are not installed approximately ½ '' from the door, the door might collapse or bind. Why do most people prefer clickers? People are habituated in using remote controls for years. Keypads are part of the latest technology and they cannot trust them easily. 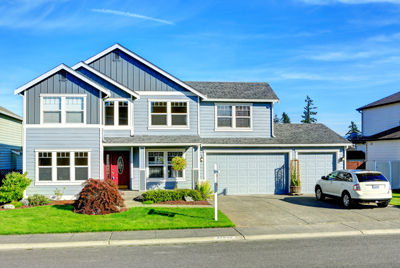 Although all these garage door opener access control systems are reliable today, people are used to pressing a button than entering a code in order to enter in the garage. It's only a matter of habit. What are the main specifications of torsion springs? The two main specs are the length and diameter. Larger doors generally need bigger springs. The third major specification is the wire size. The greater the wire size is, the stronger the component is. The cycle life shows how many cycles the component can perform before breaking. The lift reveals the amount of weight that the spring is capable of lifting. Can I replace my one-piece door with a sectional door? Yes you can. Our professional installers are highly skilled in installing a sectional door by using the exact track and springs that are specifically designed to accommodate a new sectional door. Some other modifications may be necessary depending on how your garage is constructed so we can provide you with a perfect installation that will last you and your family years of trouble-free operation. Call our expert technicians for complete details about installing a new garage door for your home today.